Just Added! Actor Lawrence Hilton-Jacobs will join us IN PERSON, schedule permitting, for a Q&A between his films Youngblood and Cooley High at our Wednesday, July 19th double feature. Bryan O’Dell star as Michael “Youngblood” Gordon in the 1978 American International Pictures release Youngblood. Michael drops out of school and joins his friend Bummie in the tough, local street gang the Kingsmen. The Kingsmen are a group of young African-Americans led by Vietnam vet Rommel, played by Lawrence Hilton-Jacobs (Cooley High). They had been concerning themselves with fighting other rival gangs, but now decide to take on big time drug dealers to try to get dope out of the hood. The battles are bloody and violent, and it’s a huge question who will win and survive to the end of the picture, the good guy gang members or the bad guy drug pushers. 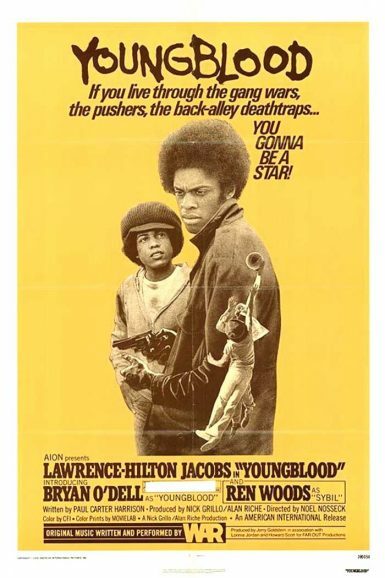 With a score by the funk band War, Youngblood tells the story of one young man’s life in the ghetto, sometimes raw and brutal, but also filled with brotherhood, loyalty and love. Marc Edward Heuck discusses Youngblood on the New Beverly blog. Cooley High is a can’t miss, cinematic slice of life of ’60s African American teen culture. Directed by Michael Schultz (Car Wash, The Last Dragon, Krush Groove) and written by Eric Monte (co-creator of Good Times), based on his own real life experiences, it presages later classics such as Boyz n’ the Hood and Menace II Society with it’s verite depiction of growing up black in America. Preach and Cochise are our main characters, and they face everyday teen issues like love, heartbreak, getting good grades and occasionally violence, all the while having their journey soundtracked by Motown classics. Serving as a loose inspiration for the sitcom What’s Happening!! 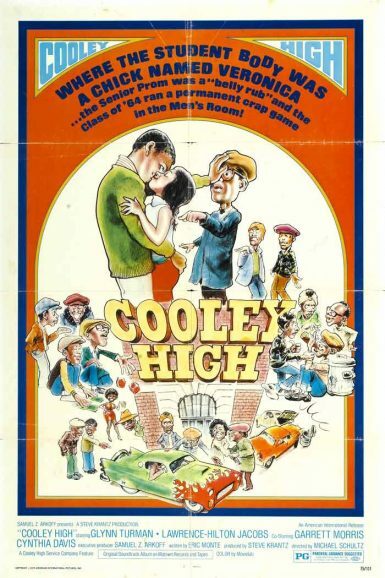 that was to come later, Cooley High offers a grittier take on what it’s like for our heroes to try to struggle and survive in the big city, while also having the time of their lives, as they are filled with youthful exuberance and not a care for what lies ahead in adulthood. Marc Edward Heuck discusses Cooley High on the New Beverly blog.